I've been posting some form of this scene each season for pretty much as long as this blog has been running, but it's such a colorful and engaging vista that it's hard to resist getting another slightly different angle and reposting it each new season. The holiday lights of It's a Small World may be over the top to a gaudy scale, but they're also incredible photogenic, and they're one of those things that I (and other Disney park fan photographers) never really grow tired of photographing! 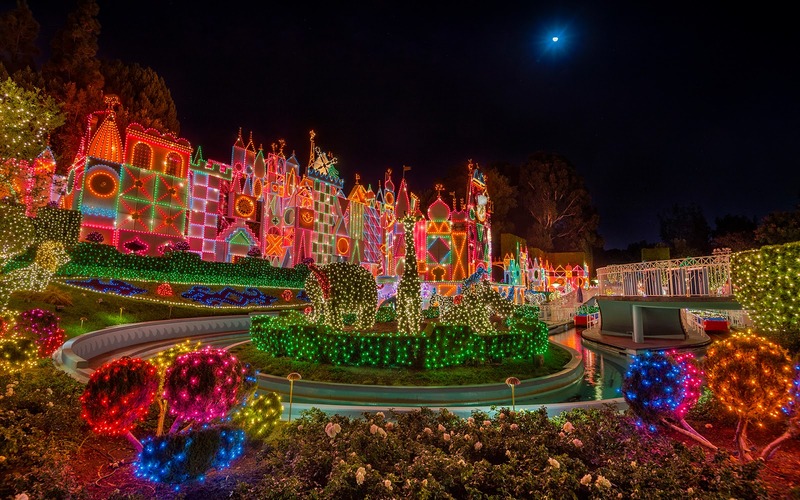 It's a Small World Holiday Edition glows with Christmas color!